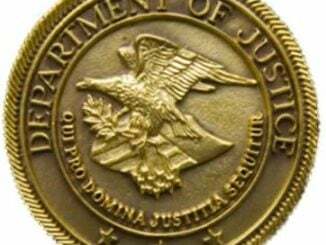 A resident reported finding a gray HP Windows XP laptop computer in the rear of her residence in a bush in the 2700 block of Western Avenue on September 11. The resident called police and police have the laptop. 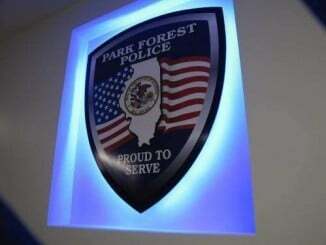 A woman told police on September 11 at the Park Forest Police Department that a man named "Richard" approximately 2 weeks prior had left a voicemail message for her claiming to assist her in refinancing her home. When she returned the call, the man stated the business name as Bright Star Financial Services, and asked her for her credit card names and numbers, Social Security number, and birth date. She provided this information. She was later contacted via mail by Capitol One Bank and was told that an account had been opened in her name and that Capitol One would be sending her a credit card. She reported that she had not suffered any monetary loss to this point due to the fraudulent activity. Police are investigating. Corey Walker, 38, 345 Boston St., Chicago Heights, and Damien D. McGuire, 637 E 194th St., Glenwood, were arrested on September 11 and charged with possession of cannabis when police were dispatched to the 400 block of Springfield Street to conduct a premise exam when a neighbor near the residence called police reporting suspicious activity. Joseph Robinson, 51, 269 Allegheny St., Park Forest, was arrested on September 11 and charged with unlawful possession of a controlled substance and theft when an officer received a phone call that suspects had just dropped off copper piping at a scrap yard in a neighboring community. A juvenile at Rich East High School was arrested on September 12 and charged with computer tampering and theft over $500 when an officer spoke with a faculty member who powered up his recovered laptop and saw the e-mail address of a student pre-populated in the username section of Microsoft Messenger. A resident reported to police on September 12 that a fraudulent check in the amount of $2309.22 had been charged against her checking account after she learned that she had lost her debit card. A juvenile was arrested on September 12 and charged and processed with criminal damage to state-supported property and also processed on a juvenile warrant charging theft when police responded to the 300 block of Gentry Street to investigate a report of a fight on a school bus. Darryl Williams, 18, 14 Apache St., Park Forest, was arrested on September 13 and charged with theft (possession of stolen property) and was additionally charged with three unrelated burglaries and one unrelated residential burglary, according to police. Police say Williams stated that he took stolen copper pipes and a water meter to a scrap yard in South Chicago Heights. A screen door of a residence in the 300 block of Todd Street was reported damaged on September 13. Police say a vehicle previously stolen out of Park Forest was recovered in the 3600 block of Ronald Street in Crete on September 13. The vehicle was returned to its owner. A PlayStation videogame system valued at $150, an Xbox videogame system valued at $150, and three items of jewelry were reported stolen from a residence in the 200 block of Arrowhead Street on September 13. A green 2002 Chevrolet Trail Blazer, Illinois License Plate L933437, was reported stolen from the 23400 block of Western Avenue on September 13. Sean A. Grant, 24, 7 Hemlock St., Park Forest, was arrested on September 13 and charged with domestic battery, fleeing/eluding, and issued traffic citations charging squealing tires, improper lane usage, improper registration, and disobeying a stop sign, when police were dispatched to the first block of Hemlock Street to investigate a domestic battery complaint. Police were dispatched to the 300 block of Juniper Street on September 14 at 3:25 AM to investigate a report of a disturbance. The incident related to an alleged incident of battery. Police have suspect information and continue to investigate. 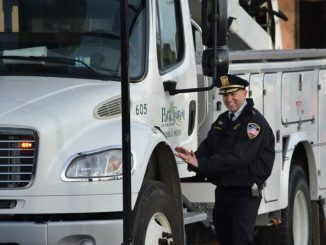 Police were contacted by Commonwealth Edison workers in the 100 block of Hay Street who were working on disconnecting the electrical meter from the rear of a residence. The workers discovered that the meter housing had been damaged and the power had been turned back on in a self-restore attempt. The meter housing was peeled back and the lower portion was peeled down to allow access to the terminals that make contact with the inside of the meter housing, according to police. The workers said that the overdue balance at the property was approximately $19,000. The meter was removed from the housing and the main power feed from the pole to the residence was cut. Jonathon B. Allieu, 21, 297 Juniper St., Park Forest, and Ashley D. Franklin, 25, 98 Hemlock St., Park Forest, were arrested on September 15 and issued municipal citations charging possession of drug paraphernalia and possession of cannabis when police were dispatched to the first block of Water Street to investigate a report of suspicious subjects. A Velocity V1 Tablet computer valued at $200 was reportedly placed in the video returned box at Family Video, 373 Sauk Trail, on September 14. Brandon A. Hopkins, 23, 326 Waldmann St., Park Forest, was arrested on September 14 and charged with possession of cannabis when police were dispatched to the intersection of Watseka Street and Wildwood Drive to investigate a report of suspicious subjects in the area. Ajee B. Haywood, 18, 116 Peach St., Park Forest, was arrested on September 14 and charged September 15 with battery when police responded to the 400 block of Lakewood Boulevard to assist in the investigation of an attempted robbery which had just occurred. A juvenile was arrested and charged with aggravated battery and attempted robbery in connection with this incident. The driver’s side window of a vehicle parked in the 200 block of Allegheny Street was reported shattered on September 15. A window of a residence in the 300 block of Meota Street was reported shattered on September 15. Ricky L. Johnson, 43, 6605 Old Plank Trail, Matteson, was arrested on September 15 and charged with domestic battery when police were dispatched to the 100 block of Indiana Street to investigate a report of domestic battery. 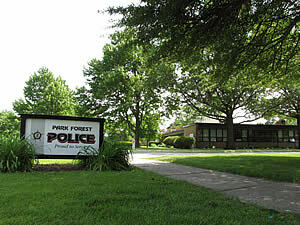 The glass window to a front/south-facing steelframe door of Park Forest Village Hall was discovered shattered by a boot or shoe on September 16. A Sony PlayStation 3 game system valued at $199.99 and a 52-inch Samsung television valued at $800 were reported stolen from a residence in the first block of Dunham Road on September 17.